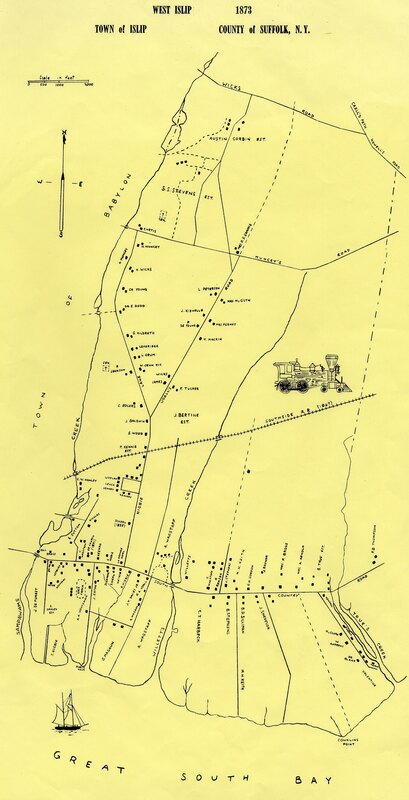 In 1976, Gerald Wilcox researched and created several maps depicting West Islip as it developed. 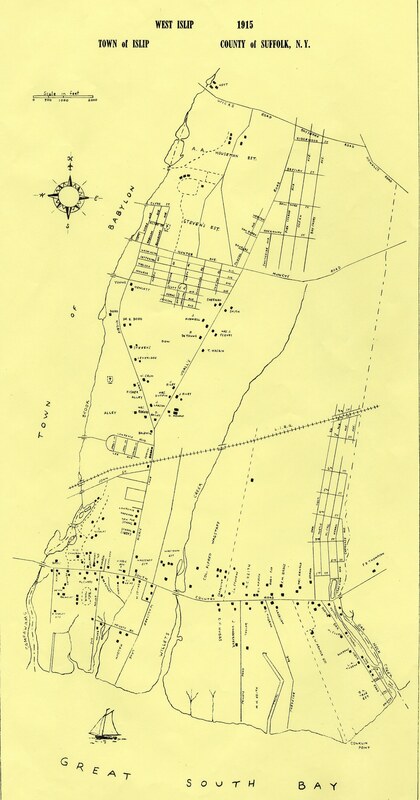 Carl Starace, Islip Town Historian, donated copies of these maps to the Library. 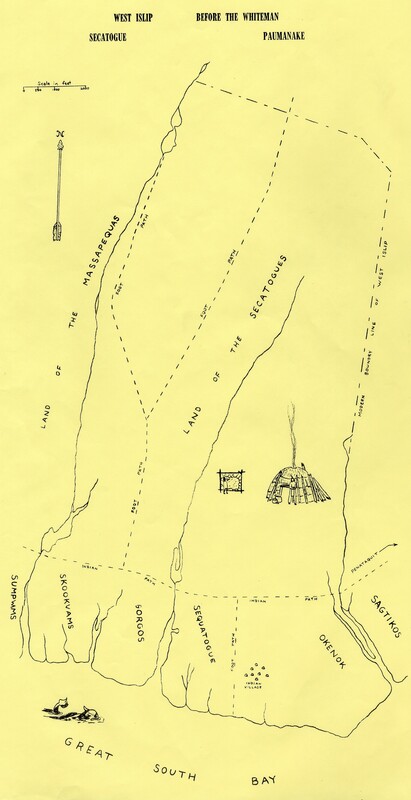 They have been scanned for us by Ron Ardito, of Ardito Business Machines. 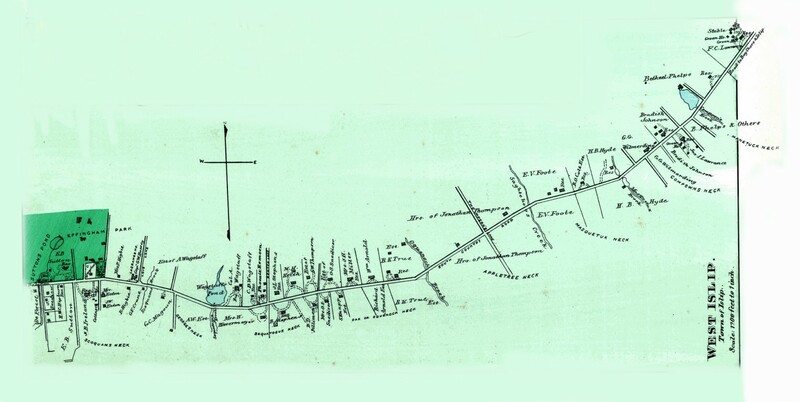 Click the underlined years to view these maps. They are large files, but your browser will re-size them to fit the window. 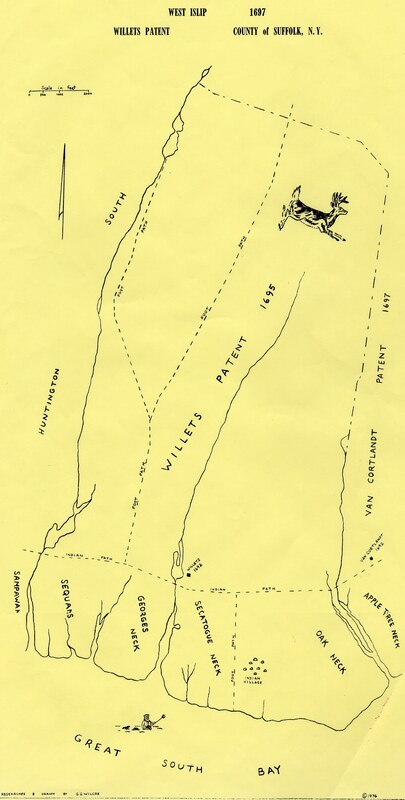 Click the bottom right-corner to see full-size images. 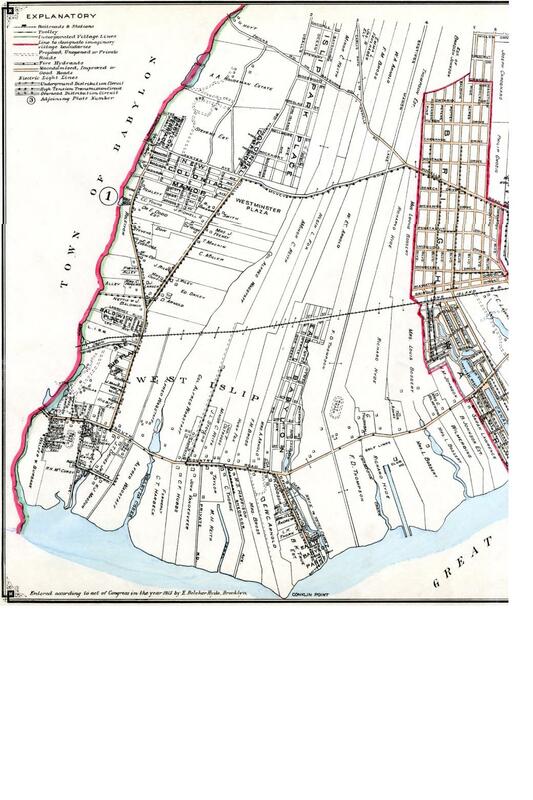 Maps from old atlases and gazetteers help us see how much West Islip has changed through the years..
Stony Brook University has aerial images of Suffolk County from 1938 online. 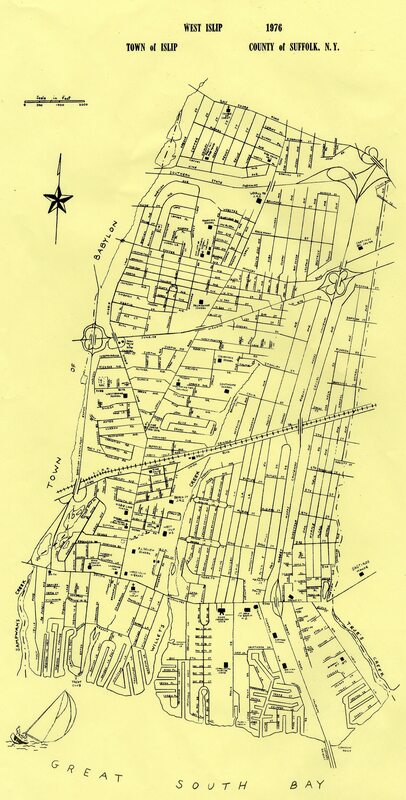 On this page, choose BayShore West to see sections of West Islip as it looked in 1938. You may need to visit this list of mages. 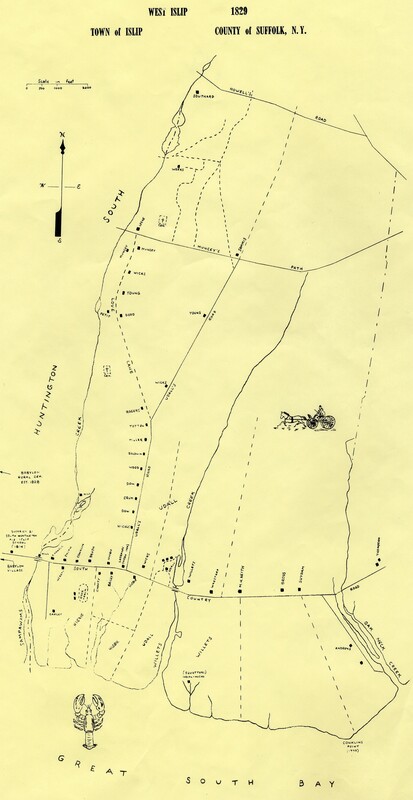 Look for Images 9-40, 3-93 & 3-94 which have good views of West Islip - look for the distinctive "V" of the Higbie Lane-Udall Road fork to orient yourself. 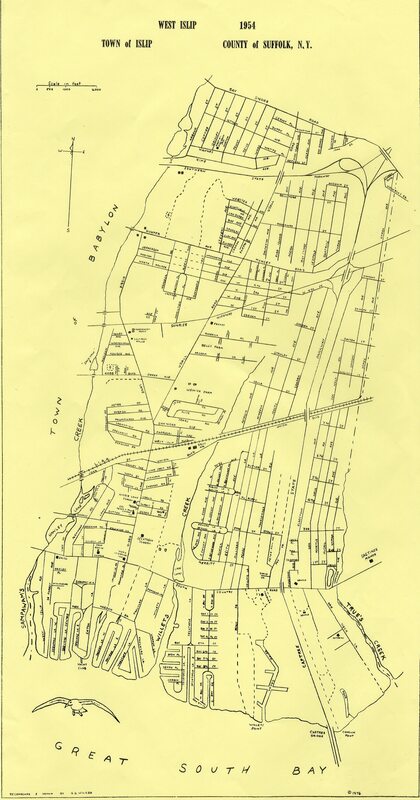 This 1915 E. Blecher Hyde map shows a small area just east of the present Robert Moses Causeway as being called "East Babylon" - Click the image to see a larger version - and remember that Internet Explorer shrinks images to fit your screen, so rest your cursor near the bottom right corner, then click the yellow square to enlarge the image.